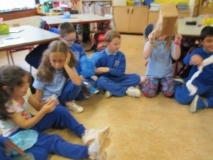 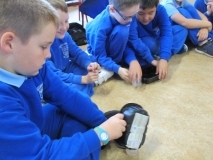 We often have spills in our classroom. Today we set about trying to find out which materials would be best for mopping up spills (which materials are most absorbent). 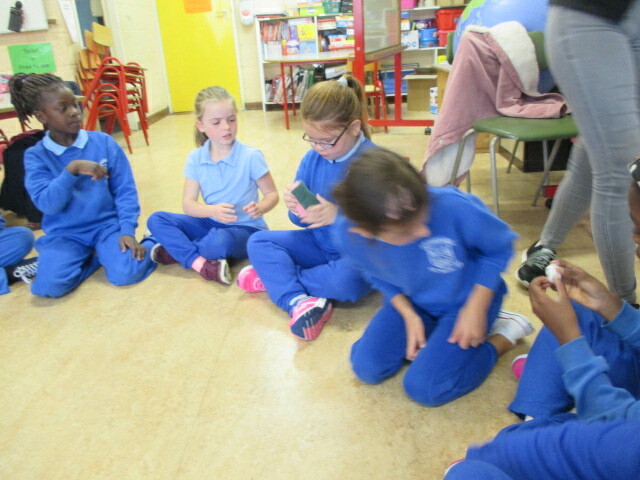 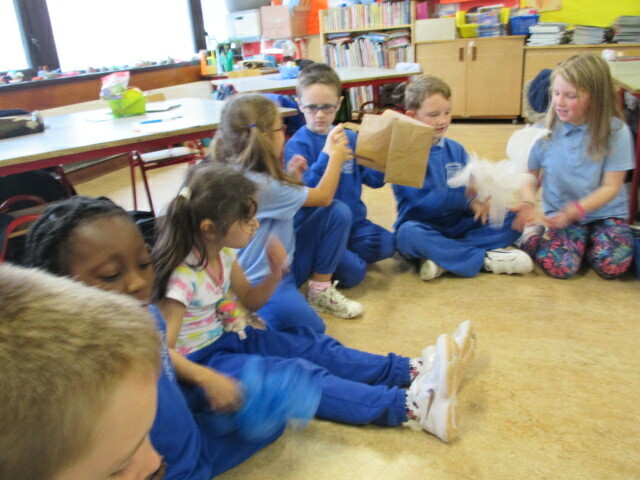 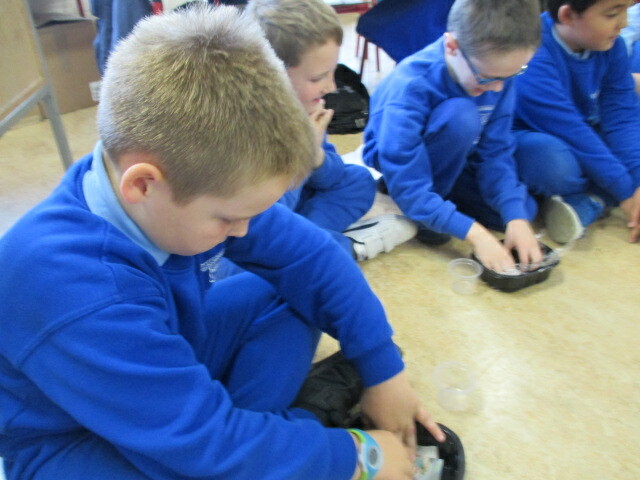 We spent a while feeling, touching and looking at lots of different materials. 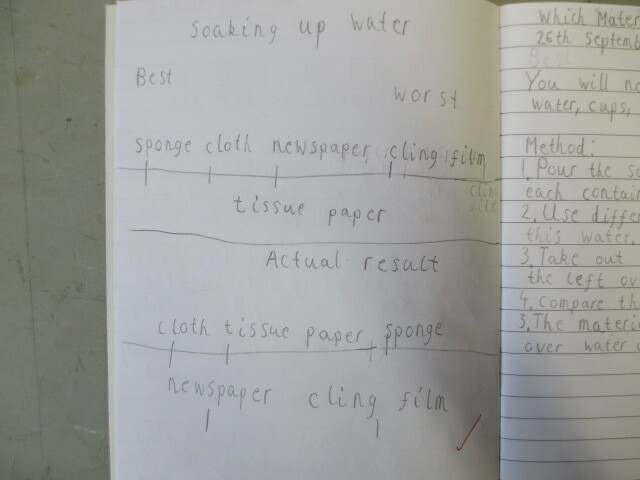 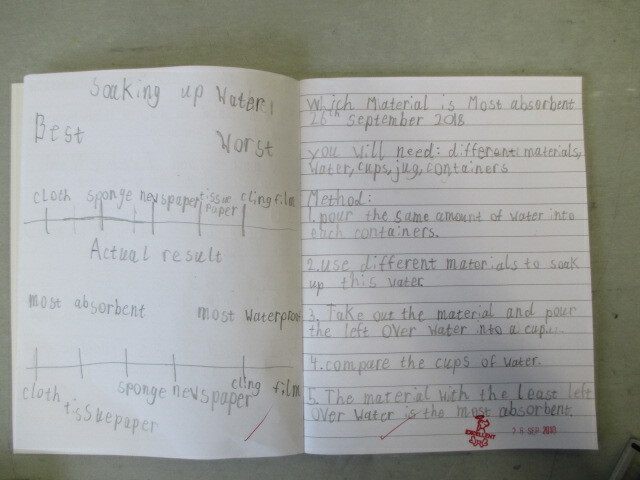 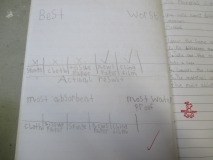 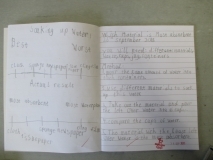 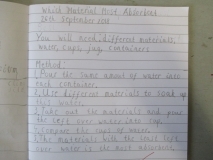 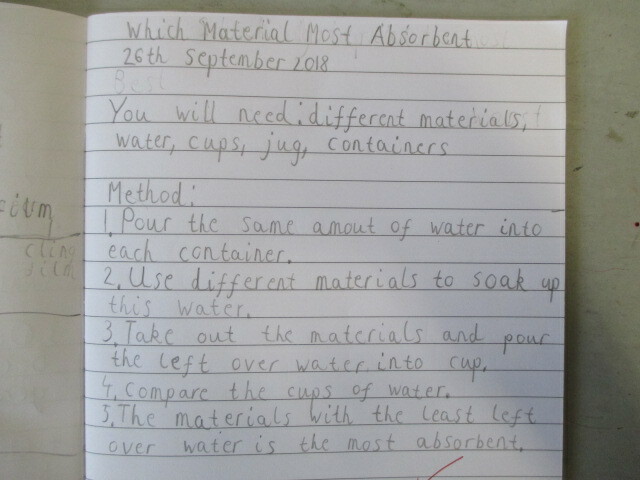 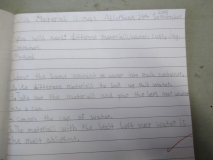 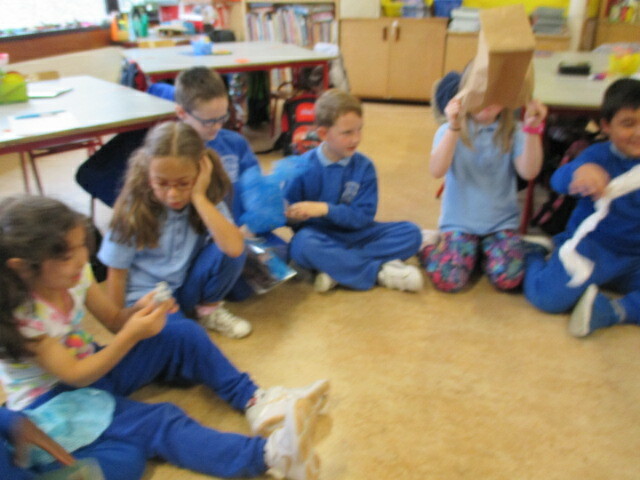 Before we began our investigation we PREDICTED which material would be most absorbent and which would be least absorbent (and so be most waterproof). 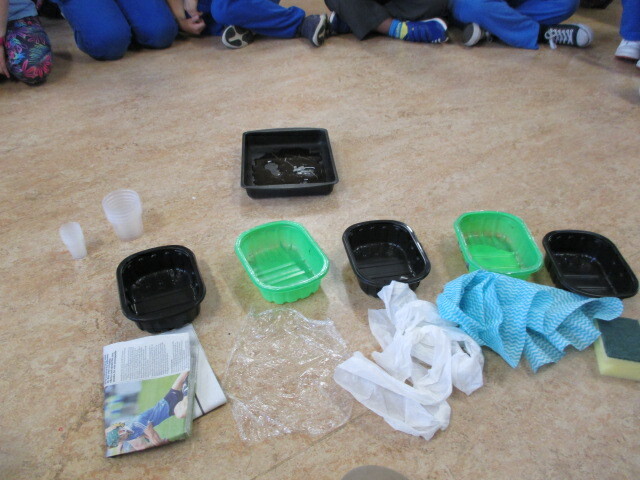 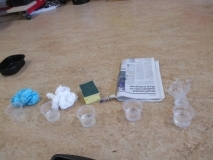 We decided to test out our predictions by first pouring the same amount of water into 5 different containers. 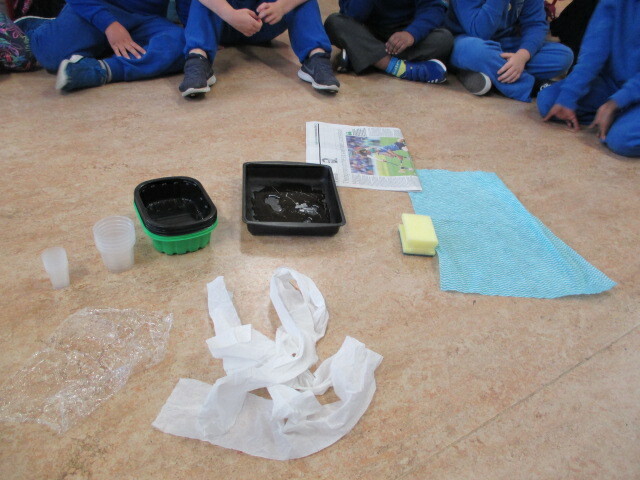 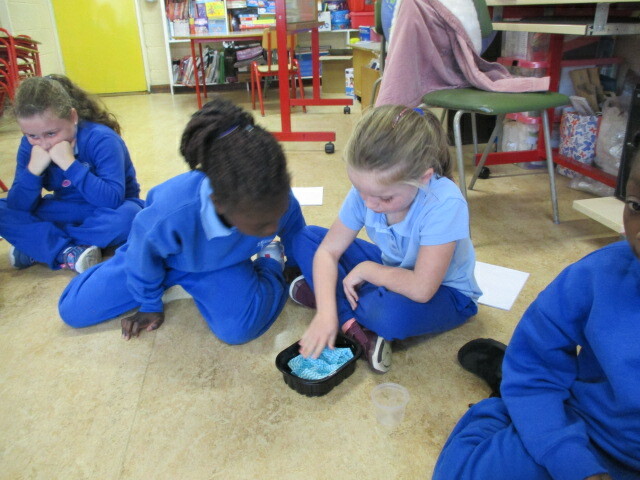 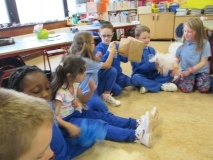 Then we mopped up each of the spills of water with different materials (sponge, tissue paper, cling film, newspaper and a cloth). 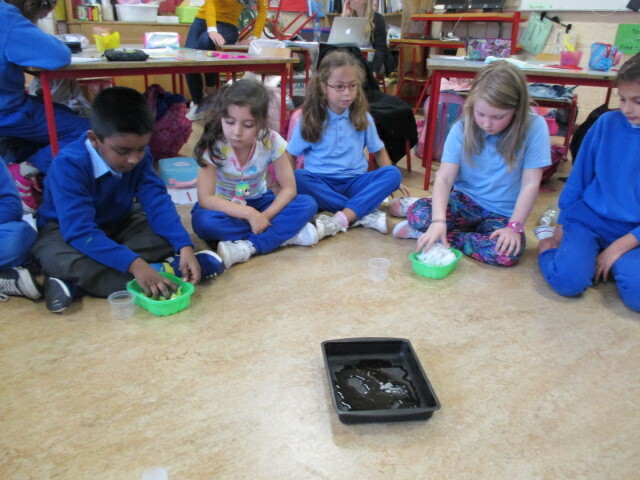 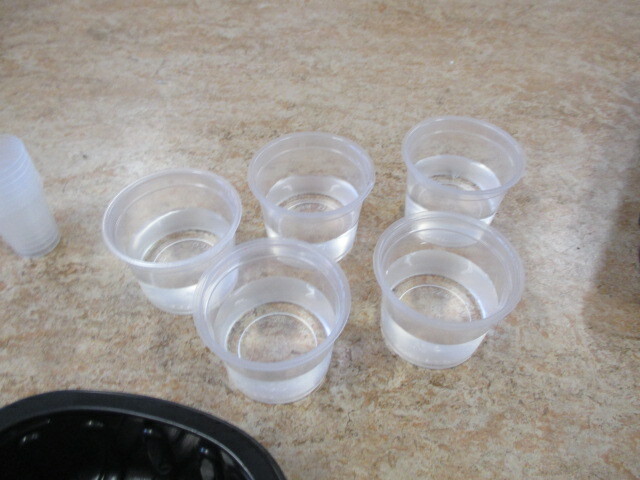 After leaving the material for a minute to absorb the spill we emptied out the left-over water into little cups. 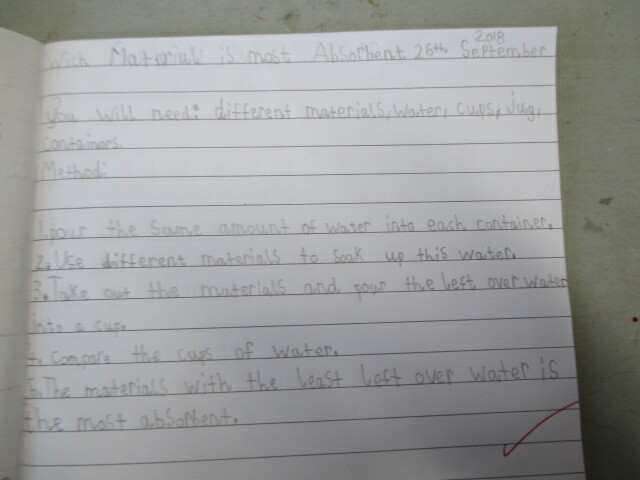 We compared the cups and ordered them according to which cup had the most water (from the least absorbent material) to the cup with the least water (from the most absorbent material). 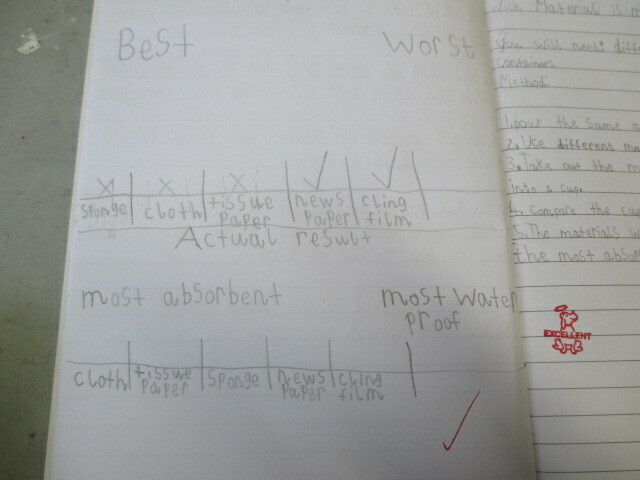 Our predictions were a little off. 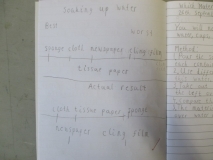 After we finished our investigation we carried out some procedural writing when we wrote down how we had conducted our investigation, and we drew a line of comparison for our results.